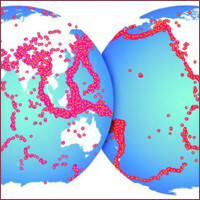 The Global Earthquake Model (GEM) is a public-privat partnership initiated by the OECD to build an independent standard for modeling, monitoring, and communicating earthquake risk worldwide. The Global Earthquake Model (GEM) will be the first global model for seismic risk assessment at a national and regional scale. In accordance with the principles of open-source development GEM will be developed as a versatile online tool, with open source code, open data - wherever possible - and a map-based graphical interface. Over 500,000 people died in the last decade due to earthquakes and tsunamis, mostly in the developing world, where the risk is increasing due to rapid population growth. But in many seismic regions, no hazard models exist, and even where models do exist, they are intelligible only by experts or available only to paying customers. We believe that better risk awareness can reduce the toll that earthquakes take, by leading to better construction, improved emergency response, and greater access to insurance. The Global Earthquake Model (GEM) answers this need, as an internationally sanctioned program initiated by the Organisation for Economic Cooperation and Development (OECD). The third field of CEDIM activities are risks related to critical infrastructures. In an assessment program (SIMKRIT) research and practitioners‘ needs have been identified; in consequence the program KRITIS is under development aiming at a decision support tool for critical infrastructure ranging from operational via technical to strategically decision support. The Megacities project is an interdisciplinary project to analyse the consequences of earthquakes in rapidly growing metropolitan areas; as a case study the city of Istanbul was selected. CEDIM aims at developing methods for monitoring earthquake hazard, fragility, and vulnerability. These methods should allow for near real-time updating of relevant parameters in order to cope with the development of the city. For three representative river catchments of Germany, flood hazards as a result of the changing climate are being analyzed. In addition, the research group Natural Risks in a Changing Climate will investigate the impact of a changing climate on hail hazard and hail risk and flood modeling. Furthermore scientists within CEDIM will develop an indicator model for the assessment of indirect risk in a changing climate. In the field of risk management a procedure for quality evaluation of web-based flood survey is developed to make information provided by the affected population available. Another focus is using scenario models for risk-relevant planning in Baden-Württemberg and the evaluation and development of prevention strategies for risk reduction. The aim of the project is the quantification of risks due to natural and man-made hazards. For the area of Germany, risk maps for winter storm, earthquake and flood are developed. Further research is carried out in the fields of asset assessment, comparison of natural hazards, impact on infrastructure and data management solutions.